14 Mar, Pakyong : Renowned British theoretical physicist Stephen Hawking died on Wednesday after suffering from complications due to amyotrophic lateral sclerosis (ALS) – a progressive neurodegenerative disease. He was 76. Best known for his work on black holes, the cosmologist theorized that contrary to the prevailing scientific belief that black holes were inescapable for all forms of matter and energy, they actually emitted a form of radiation – now known as Hawking radiation. Hawking’s celebrity status was acknowledged even by The Simpsons – he was depicted drinking at a bar with Homer, suggesting he might steal Homer’s idea that the universe is shaped like a doughnut. Undeterred by his condition, he continued his work as Lucasian Professor of Mathematics at Cambridge University, and in 2001, his second book – Universe in a Nutshell – was published. But his condition inevitably made him dependent on others. He often paid tribute to his wife, who had looked after him for more than 20 years, and friends and relatives were shocked when he left her for one of his nurses, whom he married in 1995. In 2007, he became the first quadriplegic to experience weightlessness on board the so-called “vomit comet”, a modified plane specially designed to simulate zero gravity. He said he did it to encourage interest in space travel. British physicist Stephen Hawking, who is known as one of the biggest pioneers of science, died on Wednesday, March 14 at the age of 76. Diagnosed with motor neurone disease in 1963 at the age of 21, Hawking was given only a few years to live, but he defied the odds and survived for more than half a century. The rare disease left him wheelchair-bound and largely unable to speak except through a voice synthesiser. As a tribute to the legendary scientist’s inspiring work and life, we give you some of his famous quotes and facts about him. 1. Stephen Hawking was born in Oxford and grew up in St Albans, as the eldest of four siblings. His father was a research biologist and his mother was a medical research secretary. His birth date is the 300th anniversary of the death of physicist Galileo Galilei. 2. Hawking has twelve honorary degrees, was awarded the CBE in 1982 and is a Fellow of The Royal Society and a Member of the US National Academy of Science. 3. 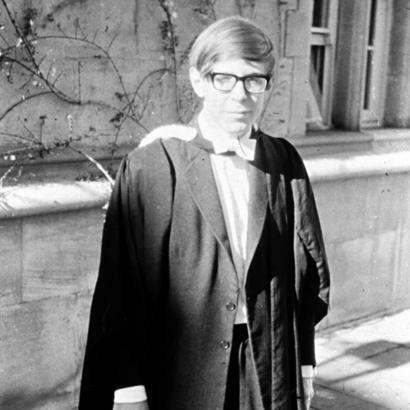 Hawking has estimated that he studied about a thousand hours during his three years at Oxford. These unimpressive study habits made sitting his finals a challenge, and he decided to answer only theoretical physics questions rather than those requiring factual knowledge. 4. Hawking was diagnosed with ALS, amyotrophic lateral sclerosis or Lou Gehrig’s disease, at the age of 21. He has a rare, slow-progressing form of ALS, which has gradually paralysed him over the decades. 5. Hawking’s 1988 book A Brief History of Time became a bestseller and sold more than 10 million copies in 20 years. It was on the Sunday Times bestseller list for more than four years. 6. 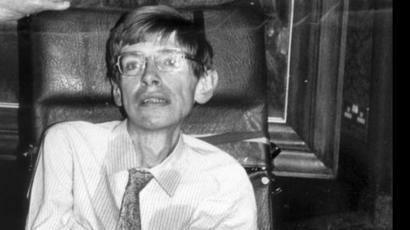 In 2002, Hawking was ranked number 25 in the BBC’s poll of the 100 Greatest Britons. The acclaimed British theoretical physicist discussed and spoke about a wide range of issues – from the existence of extraterrestrial life to the nature of philosophy – throughout his lifetime. One such subject was artificial intelligence (AI) and Hawking always warned against it and its growing dominance over humanity. “Earth is becoming too small and humanity is bound to self-destruct, with AI replacing us as the dominant being on the planet,” he told wired.com in November 2017. “I fear that AI may replace humans altogether. If people design computer viruses, someone will design AI that improves and replicates itself. This will be a new form of life that outperforms humans,” Hawking said. The cosmologist stressed upon the increasing developments in AI and while he lauded the progress, he also feared that machines will one day be more dominant than human beings. He noted that a new space programme should be humanity’s top priority “with a view to eventually colonising suitable planets for human habitation”. “I believe we have reached the point of no return. Our earth is becoming too small for us, global population is increasing at an alarming rate and we are in danger of self-destructing,” Hawking warned. In 2016, at the opening of Cambridge University’s AI centre, Professor Hawking said that AI could either be the best or worst invention humanity has ever made. Speaking during a TV talk show “Star Talk” on National Geographic Channel, Hawking propounded his theory on what happened before the universe came into existence. Hawking’s theory lies upon the assumption that the universe has no boundaries. “It was always reaching closer to nothing but didn’t become nothing,” he said. Further, Hawking drew an analogy between the distorted time with Ancient Greek philosopher Euclid’s theory of space-time, a closed surface without end. “There was never a Big Bang that produced something from nothing. 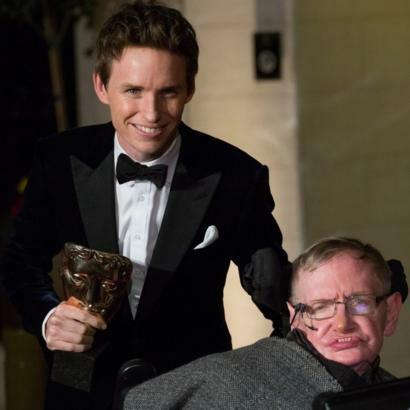 It just seemed that way from mankind’s perspective,” Hawking said, hinting that a lot of what we believe is derived from a human-centric perspective, which might limit the scope of human knowledge of the world. Stephen Hawking, renowned British physicist, breathed his last on Wednesday, March 14 after suffering from amyotrophic lateral sclerosis (ALS), the fatal neurological disease. He was 76. The legendary scientist was diagnosed with the condition in 1963 and lived with it for more than five decades. 1. Amyotrophic Lateral Sclerosis, commonly known as ALS, is a progressive, neurodegenerative disease. It affects the nerve cells in the brain and spinal cord that make the muscles of both the upper and lower body work. 2. The disease is also referred to as Lou Gehrig’s disease, named after the famous baseball player who is believed to have died from the illness in 1941. 3. Early symptoms of the disease include stiffness and muscle weakness that worsens over time and victims gradually lose the ability to walk, speak and breathe. 4. Currently, there is no cure or treatment that halts or reverses the condition. However, there are some options that helps to manage the symptoms. 5. According to ALS Association, the average survival time for those affected by the condition is three years. 6. Only five percent of the patients live for 20 years or more. 7. ALS came into the limelight in 2014 after the viral “Ice Bucket Challenge”, with people uploading videos of themselves pouring ice-cold water over their heads in a bid to raise awareness about the disease.